Eggs was formed by Scaley Andrew leader Andrew Beaujon while he was living in Richmond, Virginia, attending Virginia Commonwealth University. They are perhaps the only band to ever mix horns successfully with indie-pop. 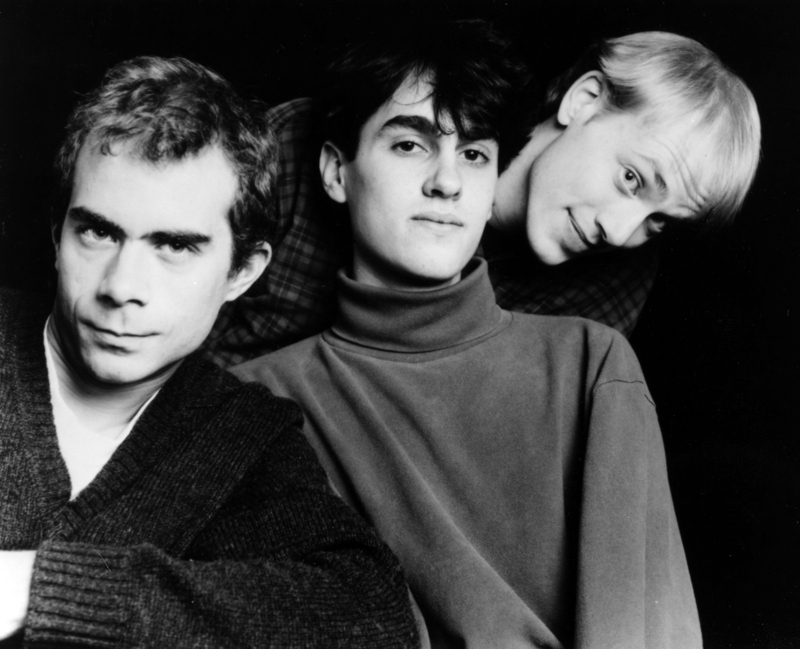 Eggs is perhaps best known for their sweeping epic double-album Eggs Teenbeat 96 Exploder. 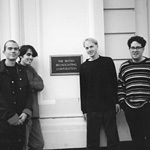 A D.C.-ist feature on the Eggs Teenbeat 96 Exploder album. An All-Music review of the Eggs Teenbeat 96 Exploder album. The only constant member for the life of the band was Andrew Beaujon. In the Fall of 1991, Eggs was a part of the Lotsa Pop Losers festival held in Washington, D.C. and organised by Simple Machines, Slumberland, and Teen-Beat. Eggs performed in England on the "Monsters of Rock II" tour with Rodan and Tsunami. 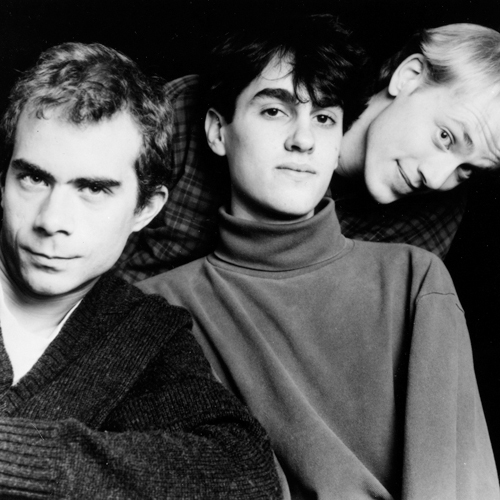 The band participated in the second leg of the original Teen-Beat Circus tour in 1994. Eggs performing live at North Six, Brooklyn, New York, February, 2005. The word "eggs" has since the inception had numerous meanings. The Middle English language introduced "eg" in the 14th century to signify the birth-vehicle of birds, while the Scandanavian languages coined "eggen" as a verb meaning "to incite" and "egg" as a noun meaning "the edge." Today "egg" occupies an entire column in Webster's Dictionary. Recently guitarist and singer Andrew Beaujon has formed a rock and roll group under the name Eggs. The band's music, like the name, is simple yet covers a wide range of meaning. Beaujon's pop-melody sensibility is filtered through large doses of humble sensitivity, dreamy chime-strum, tight-knit trio-jam, and heroic rock muscle. Hence on the band's debut album Bruiser we encounter the instro-drone of "Spaceman," the fresh appeal of "John's bar Mitzvah," the lite-jazz-meets-Led-Zep "Ocelot," and the all-out rock of "Hippie Purple." Beaujon first began releasing music in the early '80s in Northern Virginia under the name Scaley Andrew, recording tapes and singles for the Teen Beat label. Later, while attending college in Richmond, he met the excellent drummer John Rickman, and the pair started Eggs with a now-departed bassist and a french horn player (whose only recorded appearance was on the stellar 7" "Skyscraper" b/w "Ocelot"). Dave Park, freed from his duties in D.C.'s Unrest, joined Eggs and stayed long enough to add his too-good-to-last bass playing to the 7" and Bruiser (including a rare lead vocal on the gem "President"). The current Eggs performing unit includes a new bass player and a slide trombonist. A superficial listen to Bruiser might make it appear normal. In Angel Heart, Robert DeNiro posited eggs as symbols of the soul and offered one to Mickey Rourke, who, guessing it to be no more that a chicken dropping, declined. His judgement proved faulty. It is in a similar spirit that we extend Bruiser to you, in hopes that you'll posess the huevos to probe beneath the shell. Good luck. The Summer of 1990 was easily the corst couple of months in my life. I was living in Richmond, Virginia, in an apartment I could barely afford, having lost my primo gig airbrushing T-Shirts at King's Dominion, an amusement park 20 miles north of town. The economy in Richmond was at an ebb and after a month of trudging around filling out job applications I was beginning to feel pretty near unemployable. My relationship with the woman I had dated all through college had ended badly and without an adequate sense of closure. The band I'd been in had disintegrated (c.f. TeenBeat 196: The Soul of Scaley Andrew for details) and I was left with a lot of time to sit in my room and be a morose, naval-gazing 20-year-old. I traded my Wah-Wah pedal for Mark Nelson's terrible Squaier Stratocaster guitar and began writing songs. I wrote most of the songs on Bruiser in a four-week period, drawing on my overall unsatisfactory experiences: attending poetry readings ("Cushion"), being broke ("John's Bar Mitzvah"), and frustrated in love as in all other things ("Ocelot," "Opener," et. al.). I also wrote a couple of songs about my cat Bob who died later, in winter, as sort of a capper to the whole damn year. I had met John Rickman at an Ambulance Family show earlier that year and we began playing together, practicing every afternoon in August and September until we played our first live show. We added Marianne McGee as our frech horn player and Dave Park as our bass player in the interim, and the four of us became something of a pretty tight little live unit for a while. We recorded a single ("Skyscraper"/"Ocelot"; TeenBeat 66), then Marianne got married and quite the band, and John and I moved to Washington, D.C. Having booked studio time a few months before, Dave and John and I drove up to New York and recorded Bruiser even though the band as we knew it was pretty much over. The songs are in the order we always played them live, and the budget for the whole recording was $600. The twists and turns of Eggs since then are of no concern here (although I recently counted that 17 people besides myself have been in this band), and it's strange to look back on the reissue of an album which never really went out of print with a lot of enthusiasum, especially since the songs remind me of such a misterable period in my young life. But when I went to Abbey Road to attend the remastering session I heard Bruiser fo rthe first time in years and it didn't sound as bad as I had remembered. I even think it has its moments. So anyway, enjoy your free copy of the record and try not to be too hard on it. I met John Rickman in a math lab at college; we bonded over common hatred for the teaching assistants and later discovered we both liked the Smiths. We made an appointment to get together and jam in the basement of my house on Vine Street and proceeded to bash out arrangements of the songs. John's style of playing was unlike any I'd heard before-jazzy without being trained, flurrying without being too busy. I don't remember how we ended up getting booked for a show at Twisters, nor do I remember who we opened for, but we enlisted my jazz-musician summer roommate Steve Sachse to join us and asked another friend, Marianne McGee, to play french horn. During the show I broke a string, and realized I didn't exactly know how to change one. Steve played "Autumn Leaves" while I figured it out. Stability arrived in the form of former Unrest bass player Dave Park, who was a real musician and whipped us into somewhat presentable shape. Our second show was opening for Yo La Tengo, who were very friendly and said they'd try to get us a show in New York. Meanwhile, we managed to book one or two shows in Washington, D.C. My high school buddy Mark Robinson encouraged us to record a single, so we went to Barrett Jones' basement and did three songs: "Skyscraper," "Ocelot" and "It's Hard to Be an Egg." Teenage Gang Debs split the session with us and recorded a version of a Pooh Sticks song, "On Tape." I was very impressed that John ordered pigs in blankets at IHOP after the session. "Skyscraper"/"Ocelot" was our first single, Teenbeat 66 if I'm not mistaken (all my Teenbeat numbers are loose factors of 10 and 3 as I was born on October 3). It reflected my interest in minimal packaging spurred by a Factory single I'd found in a used record store: a John Dowie single on white vinyl in a simple clear sleeve. I threw in a business card-size "cover," and we were off. We had enough material for an album, so we booked time with Wharton Tiers, who'd done the most recent Unrest record. The day before we drove up to New York to do it, we couldn't find Marianne. She disappeared for a couple weeks in the end, and we recorded Bruiser without her. I wonder what those songs sounded like with that plaintive single-note drone she did so wellÑI don't remember anymore. Not long after we recorded Bruiser (for $600, incidentally, and in six hoursÑthree recording, three mixing), John moved to Washington, D.C. to go to American University. I followed and went in on renting a house with Mark on Wakefield Street in Arlington. I remember when Bruiser came out, I didn't have a CD player and had to go over to my Mom's house (Mom being the cover star) to listen to it. By this time John and I had started playing with Evan Shurak, a fellow student of John's at American, and eventually a rather strange fellow from John's hall named Rob Christiansen, a floppy-haired ska fan from Boston who used to come to our practices and perch on the back of a chair, smiling and waving his head and tapping his enormous feet on the seat. When I found out he played trombone I asked him if he wanted to try playing along; he bolted out the door, leaving the chair spinning as if in a cartoon, and returned so out of breath he must have been blowing pure adrenaline to play at all. Our first show with this lineup was at D.C. Space, at the second night of the "Lotsa Pop Losers" festival at D.C. Space (the first was somewhere in Maryland). I remember us as being pretty horrible, but Chip Porter, who drove a zillion hours from Michigan for the show, liked it. We met a couple other artists that day that we'd see a lot more of in the future, especially Versus and Small Factory. The next sequence of events is kind of muddled to me. We started playing a lot more, especially in New York, and we started recording a lot of seven-inch singles for different labels. Right now, I'm even shuddering at the thought of doing a discography. With the exception of "Erin Go Bragh," which we recorded at home, and the single we did for Jade Tree, which we recorded at WGNS, we recorded all the singles at American University, where Rob and Evan were in the audio engineering program and which had a serviceable 24-track studio that we could use for free. We had to go in late at night, but we could make as much noise as we wanted and frequently left there at 4 in the morning. I don't know if we'd decided to make an album at that point, but a lot of those recordings wound up on Exploder eventually. 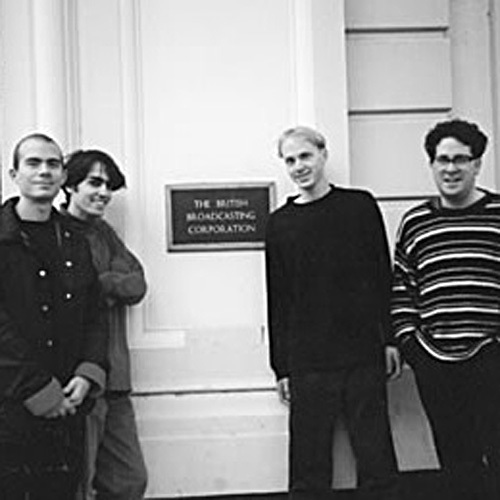 One time when we were playing with Sexual Milkshake and Unrest at D.C. Space, we met an Englishwoman in wildly colored stockings named Justine Wolfenden, who worked for the Wedding Present, who were playing at the 9:30 club the following evening. She liked us and put us on the list for the Wedding Present show, which made us feel tremendously important, and eventually offered to put out a single for us on her label, Hemiola. The song we gave her, "The Government Administrator," struck a chord with British people, probably because it was about not wanting to work. John Peel played the single quite a bit, and he placed it in the Top 10 of his Festive 50. When we finally played in Britain the next year, we were all stunned by people singing along to the song-we were used to seeing audiences glance at their wristwatches and glare at us. Mark made a deal with London's Southern Studios to "p and d" our new record, whatever that means. All we had to do next was finish it. We pulled countless all-nighters at American, trying to get the job done in time for a pre-Christmas release in 1993, but we missed it and had to settle for Valentine's Day the following year. We had a fair bit of press before the album's release and our first taste of being a band that people cared about. It was a fun time. We played a lot of shows and made a lot of friends. But we lost John, who'd decided the band was taking too much of his time. Thus began a long period of playing with different drummers. Some were great. Some were very nice to help us out. But no one really took John's place until the very end, when a Teenbeat fan named Ben Currier stepped in. By that time, we'd been dithering for so long on whether to sign with a major label that we basically outlasted all interest in us. I can't remember exactly when Evan quit but I can't say I don't understand why he did it. Jane Buscher was a great replacement and accompanied us on what proved to be our final tours of the U.S. in 1995. By that time I'd fixed on moving to New York, and Rob was getting busy with his Viva Satellite project. A break seemed in order. We played one last short tour with the Wedding Present and Spell, who opened but asked us to open the New York show so their label people could see them. It was a typical Eggs travesty brought on by politeness-most of our fans came later and missed us. It wasn't supposed to be our final show, but that's the way the cookie crumbled. Eggs Teenbeat 96 Exploder Bye! Bye! Eggs Teenbeat 96 Exploder How're You Doing?